Hello from Sweden, from my backyard. I snapped the featured image on our driveway, on my way to take kids to school a few weeks ago. I saw the gorgeous sunrise at around 7:30 on the morning, and I was so happy to see it, that I stopped the car, rolled down the car window and took the picture. This is what I call a “skimbaco moment” in my day, a fleeting moment, when I can sigh and say “wow, this is my life” and be thankful for what I have. Seeing others’ instant small moments is also why I love Instagram. Instagram can be your travel guide to the world, and you can find amazing places to visit, virtually or physically. I started Instagram Travel Thursday to unite travelers on Instagram and especially to draw attention to many travel bloggers who share their travel expertize and stories also on their blogs. But what I have noticed as I have fallen in love with the photos from many Instagrammers from around the world, and it’s not always the “travel photos” I am drawn to. It’s the photos people are sharing from their backyards, of their own countries, and in their own neighborhoods. The beauty when you are searching photos on Instagram is that you are able to see the destinations via travelers’ eyes, but also via locals’ eyes. The lines between a tourist and a local are blending as both the visitors and locals are using the same hashtags and location tags to post images. I just wrote a post how I can tell the story of my home country Finland differently as those who are visiting Finland the first time. The same way I can tell you much more about Sweden, than any travel expert who visits here for a week. Yet, when it comes to YOU actually planning your trip to visit any country, it is important that you hear the story and see the pictures from both angles. Locals can be blinded for many positive (“that sight is just for tourists, but I’ve actually never been there”) or negative things (“well, we’ve always had that problem but you learn to live with it”), but they also have the experience (“instead of the tourist place, go here”) and solutions (“the line/traffic/service is not bad if you go between 11-12”). Tourists see things in a new light and don’t take anything for granted as locals might, but they also lack the experience of “local problem solving”, if everything doesn’t go as they imagined or planned. See where I am going with this and why it is great to be able to get your travel tips and ideas from both, the local people, and those who have perhaps visited the places only once for a short time? Both views are equally important. Very simple example: the Arlanda airport in Stockholm has excellent train connections to Stockholm city center and everywhere in Sweden, directly from the airport. I can easily take a train from the airport to our hometown Linköping. Well, easily, if I know that there are two kinds of trains leaving from two stations: the Arlanda Express that only goes to Stockholm, and the normal train service trains that go anywhere in Sweden. When I tried finding my correct train the first time, it was pretty difficult because I didn’t realize there were two stations. Now when I have taken the train a few times, it’s the easiest thing ever to hop on the correct train. So, while I travel quite a bit, and this spring I will be visiting Texas in the USA, Morocco, Portugal and Italy to name a few upcoming trips, it is still the pictures from my own neighborhood that are the most popular even on my Instagram stream. Is it that Sweden is the most beautiful country of them all, or something else? Maybe it is just the fact of finding beauty from your own backyard that gives others the inspiration to see their own backyard differently too. 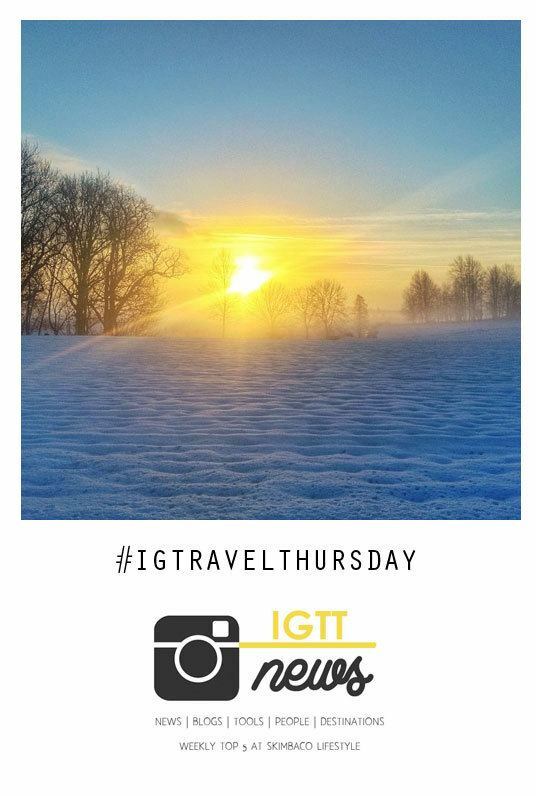 In today’s TOP 5 IGTT news I am featuring 5 great Instagrammers who share pictures from their own “backyards” in Europe. Diana travels around Italy (and she was just in Hawaii), but what I really like is traveling to Rome through her Instagram photos. Diana shares pictures that give an idea what it is to live in Rome, but also what to do when you visit there. Diana is BrowsingRome on Instagram, and also writes at BrowsingRome.com. I met Daniel in Italy and we spoke a lot about photography and he told me about some of his photos from the years he lived in Thailand. I have been dreaming of visiting Thailand after seeing his incredible photos. Although… I might have to visit Granada, Spain, the first, because that’s where Daniel lives now and posts these amazing pictures from. Follow Daniel as CanvasofLight on Instagram. What, you have never heard of Twente before? Well, neither had I before I met VincentCroce on Instagram, and now his moody countryside photos make me want to go to Twente and find some of that countryside peace. When you want to travel to Paris, Carin, ParisinFourMonths, gives you the Paris-fix instantly with her gorgeous photos. Susan of Vibrant Ireland is one of the very best people to ask anything about Ireland. Her website is full of information, but she is also the nicest person to chat on Twitter and ask any questions you might have. For her photos from Ireland, follow Susan_vibrantireland on Instagram. I always love getting new accounts from you to follow Katja. I have been enjoying Daniel and Susan’s pics this year already but the others are new to me! Thank you so much for featuring me, Katja! I’m going to give the other local IGers a follow too- such a wealth of beautiful photos & info on their places. It really is such a gift to see wonderful places in my IG stream throughout the day. What a beautiful post and thank you for the lovely mention. I hope to be more involved with #IGTravelThursday and plan on writing a post this week to add to this list. 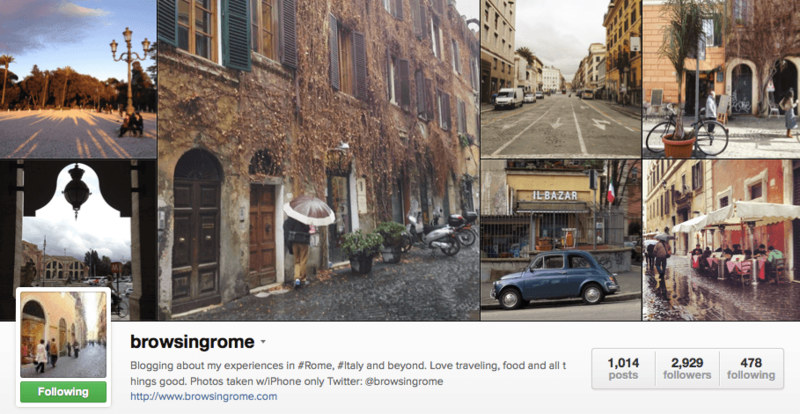 Again, I am very honored and delighted to hear you enjoy traveling with me around Rome through my Instagram account. Hope you will visit Rome again soon and we can browse Rome together. Thanks a lot Katja for mentioning me here among the other great photographers. Truly greatful. Ohhh, love your photos and wooo hooo, a whole new batch of Instagrammers for me to follow. So pretty! I love your local pictures. I’m linking up with #IGTravelThursday for the first time and am already incredibly inspired by the travelers showcased here! I’ve happily added new people to follow on Instagram and in the blog world. The photos from an previously unknown place in the Netherlands are gorgeous and I may just have to add a new place to my must-go list! Thanks for hosting this great idea and I’m so excited to be a part of it, now and hopefully again in the future!